A man pleaded guilty Monday to felony hit-and-run and a misdemeanor count of filing a false insurance claim in connection with a pedestrian collision in Chollas View that resulted in serious injuries. Ely Delacruz Soriano Jr., 43, will face up to one year in county jail when sentenced by San Diego Superior Court Judge Timothy Walsh on Feb. 5. Police arrested Soriano nearly two weeks after a 63-year-old woman was seriously injured when hit while trying to cross the 400 block of 47th Street around 1:30 a.m. on Sept. 23. She was in the courtroom in a wheelchair when the defendant entered his plea. 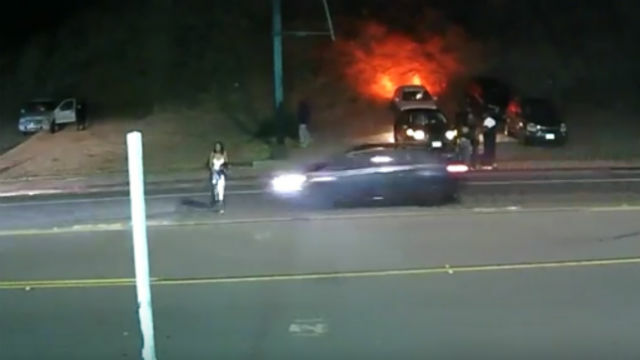 Traffic investigators released security footage of the collision on Oct. 1, resulting the same day in an anonymous tip to Crime Stoppers San Diego that led them to an address on Clairemont Mesa Boulevard, where they arrested Soriano. He remains free on bond pending sentencing.